This post may contain affiliate links. Read full affiliate link disclosure here. The evidence doesn’t lie and a plant-based diet is the surest way to live a long, healthy and happy lifestyle. Even though I’m fully convinced, I haven’t completely embraced giving up dairy. So, I get really excited when I find a dairy substitute I like. If yogurt is a staple breakfast at your house, try this recipe adapted from Chia, The Complete Guide to the Ultimate Superfood. Dairy consumption is linked to digestive issues, inflammation, and cancer. 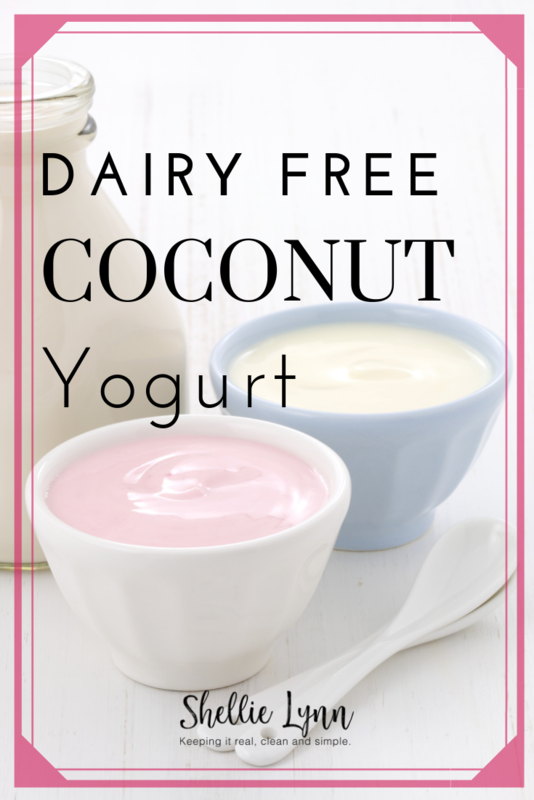 Dairy is also a contributing culprit in many skin disorders like acne and eczema. Contrary to popular belief, dairy consumption is actually linked to increased fractures. The tiny seeds are high in omega-3 fatty acids, protein, fiber, vitamins, minerals, phytonutrients, and anti-oxidants. Chia seeds improve digestion, help you burn fat and build muscle, and are great for your hair, skin, and nails. Coconut is high in healthy fats, and fiber. It is also a good source of potassium, vitamin C, calcium, vitamin B6, iron and magnesium. Coconut boosts metabolism, helps burn fat, improves digestion, and it’s good for your hair, skin, and nails. Eating healthy, whole food, plant-based meals doesn’t have to be complicated. The key is to find simple recipes that you can easily adapt. This recipe is only limited by your imagination. Add whatever fruits and flavors you and your family like. If you are not a fan of the texture of chia seeds, you’re in luck because they are all ground up in this recipe. 1-2 drops pure essential oils (optional) for added flavor. Try wild orange, grapefruit, lemon, lime, peppermint, or cinnamon. Put all ingredients (except optional fruit toppings) in a high-speed blender or food processor. Process until smooth and creamy. Add more water or coconut to get your desired consistency. Top with fresh fruits, berries, cocoa nibs, or a swirl of raw honey. If you have young or picky kids, add just a bit of colored sprinkles. Try this brand that has less artificial ingredients. Store leftover yogurt in the refrigerator. Be sure to use a high-speed blender like a Vitamix to really break down the coconut and get a smooth consistency. 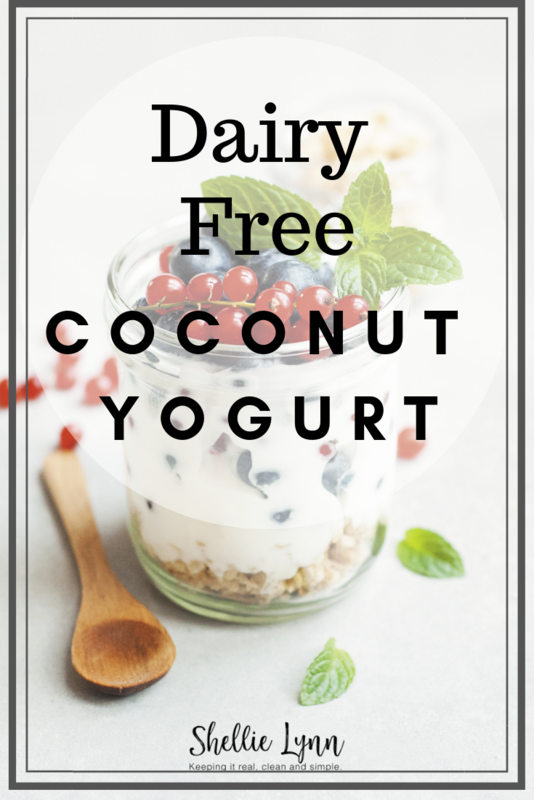 Whether you choose to go dairy-free or not, you can enjoy this nutrient-packed yogurt as part of a clean, whole foods, healthy diet. For more tips on how to transition to a whole foods diet, download your free guide The Ultimate Guide to Shopping for Clean Food.